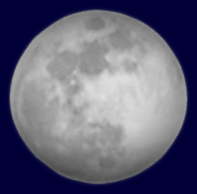 The Snow Moon will be 100% full February 14, 2014 at 4:54 P.M. Mountain time. Native Americans full Moon names were created to help different tribes track the seasons. Think of it as a “nickname” for the Moon! See our list of other full Moon names for each month of the year and their meanings. The very cool and (a-bit) exotic with touches of the Pacific Islands in the decor, as well as being the inimitable purveyor of Two Buck Chuck in the 90s, which is probably Four Buck Chuck in 2014 if they still carry it, Trader Joe’s, will open three specialty, grocery stores in the Denver/Boulder area on February 14, 2014. For the virgins in the group, Two Buck Chuck is a working-class wine that became an icon for Trader Joe’s in the 80s-90s… It was selling, of course, for $2. BTW, it’s barely drinkable. The Boulder location is at the Twenty Ninth Street Mall, 1906 28th St Boulder, CO 80301. The Denver locations, include a store at Eighth Avenue and Colorado Boulevard, and one at the Cherry Hills Marketplace, 5901 S. University Blvd. The Grand Opening on Valentine’s Day will be marked with a “ceremonial lei cutting” according to local papers. Plan on watching cooking demos with food tastings and deals, deals, deals. Get ’em while you can. The doors open at 8 A.M. on February 14, 2014. More stores are to open around the state later this year.